← Co-creating Our Future on Planet Earth: Simon Parkes October Newsletter . . . Finally it’s out! Compelling article on Veterans Today by Preston James, PhD: The End of Homeland Security, which touches on the history, playing-out, failure, excesses, and over-reaching abuses of the US Department of Homeland Security and calls for its dissolution. 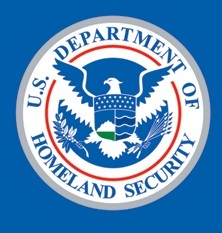 Especially notable is the acknowledgment and information in the article on the widespread use of psychotronic weapons–directed-energy weapons/non-lethal weapons/radiation neuroweapons–in the US, on individuals wrongfully labeled “domestic terrorists,” a vital concern of this website, as recent explorations into the Department of Justice’s involvement in this widespread covert assault of Americans will attest. Also of vital note is the information on the part played by the Mossad–Israeli Secret Police–in setting up the DHS as essentially US Stasi or Secret Police engaged in both dividing Americans by pitting them against each other in neighborhoods and communities via fusion centers–again, an issue explored here under Asymmetric Stealth Warfare in the US–and in militarizing and transforming American police into unlikeable and unstable and untrustable aggressors. Excerpt: “Right now informed estimates are that one million or more innocent Americans are being psychotronically harassed and gang-stalked as part of a big DHS experiment. A fair number of these innocent victims are being harassed by mistake or as part of large control groups used in this very large experiment to test the latest advanced psychotronics using cell-phone tower emissions, dopplar radar, Wi-Fi, ELF, smart-meters, aircraft deployed psychotronics, and some orbital space-based scalar weapons. If DHS is busted up it is unlikely that the RKM terror machine can be turned against Americans inside America anymore. That is why it is vital DHS is eliminated as soon as possible. Please visit Veterans Today for the whole, thought-provoking and informative article. This entry was posted in America, Civil Liberties, directed energy, US Govt and tagged abuse of surveillance, America, DHS, domestic terrorist, Homeland Security, IDF, labeling, militarizing police, Mossad, Non-Lethal Weapons, secret police, Stasi, terrorists. Bookmark the permalink.